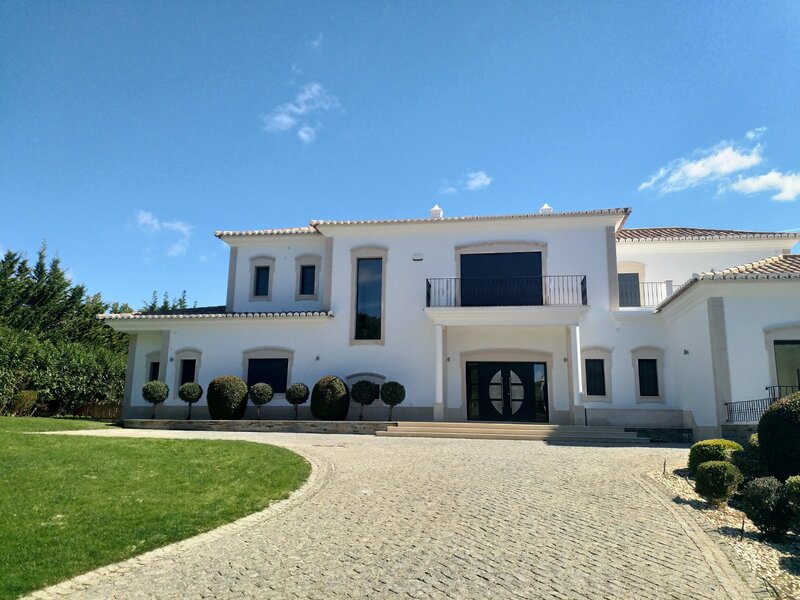 Magnificent, 7 bedroom villa, set at the side of the 17th hole of the affluent Quinta North Golf Club, ideally located in the Golden Triangle, Quinta do Lago, with stunning private, heated swimming pool, extensive superb terraces and garage and views over the golf course. This comfortable, bright and airy property is excellently presented and well built and its spacious accommodation comprises grand hallway, open plan lounge and dining area, luxury kitchen with breakfast area, 7 bathrooms, separate TV room, laundry, dressing room and ample storage. Set in its own plot of mature landscaped gardens, sleek private heated swimming pool, inviting terraces, pergola and barbecue area. It also benefits from underfloor central heating, air conditioning, electric shutters and most rooms have a balcony/terrace with views over the golf course or tranquil gardens. This spectacular property benefits from air conditioning, underfloor heating, electric shutters, alarm system, feature fireplace and staircase. Quinta do Lago is one of Europes most exclusive destinations, offering you an all year round active outdoor lifestyle. 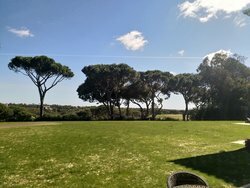 Boasting breath-taking beaches surrounded by three award winning golf courses – and nestled within the privacy and security of the Ria Formosa nature reserve. Quinta do Lago is one of the most prestigious golf residential developments in Europe. Occupying 2,000 acres of the Ria Formosa Nature Park, combining residential living with nature, beauty and lifestyle. It comprises one of the three corners of the Golden Triangle of the Algarve's most affluent and expensive communities.